Briitish company SIS Pitches, an internationally recognised leader in sports pitches, said its SISGrass pitch is being used for the matches at the FIFA Club World Cup football tournament being held in Abu Dhabi and Al Ain. It is the 15th edition of the FIFA Club World Cup, a FIFA-organised international club football tournament between the champion clubs from each of the six continental confederations, as well as the national league champion from the host country. The tournament which kicked off on December 12 concludes on Saturday (December 22). SIS Pitches said it has been contracted as full-service provider for venues for the Club World Cup event just months after taking centre stage at the World Cup in Russia. The British group constructed, installed and maintained pitches, and training pitches, for the landmark global club competition. SIS Pitches, which is headquartered in Maryport, Cumbria, and also has an office in the UAE, installed SISGrass at the Hazza bin Zayed Stadium, the venue for this year’s tournament opener between UAE host-club Al Ain and Team Wellington of New Zealand. 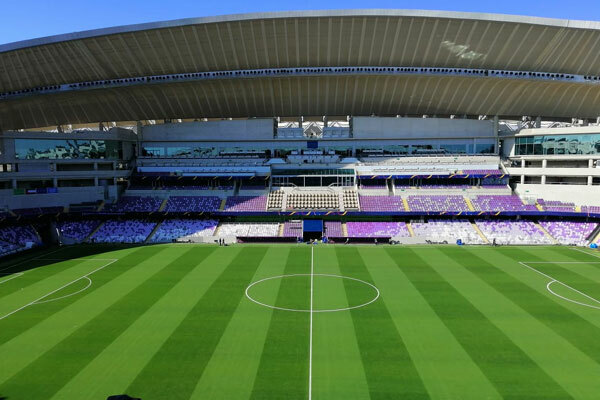 They also installed pitches at the Zayed Sports City Stadium, where UEFA Champions League winners Real Madrid played their opening match yesterday (December 19). Both stadia feature the firm’s technologically-advanced hybrid pitch system SISGrass, which was used at six of the 12 World Cup venues in Russia earlier this year, including the final at the Luzhniki Stadium in Moscow. David Ball, the managing director at SIS Pitches, who is based in Dubai, said: "The fact that we have supplied pitches to the venues for the finals of both the Club World Cup and World Cup is a huge feather in our cap, and a ringing endorsement of the quality and advanced technology of our flagship system, SISGrass." The company had installed a turf at Hazza bin Zayed Stadium and also re-turfed and stitched Zayed Sports City Stadium to mark 100 years since the birth of Sheikh Zayed, the Founding Father of the UAE. A national celebration was held at the stadium earlier this month, when more than 22,000 spectators enjoyed a historic celebration, said Ball. In addition to installing pitches at both Club World Cup venues, a third surface was also provided by the firm at the new Maktoum bin Rashid Al Maktoum Stadium in Dubai ahead of the AFC Asian Cup next year, with all three grounds set to be completed in just 21 days. The turf used at the Hazza bin Zayed Stadium came from a purpose-built farm, designed and built by SIS Pitches due to a lack of quality turf in the region, and to meet the needs of the Abu Dhabi Sports Council. “Our team has done a wonderful job with the installation and we are excited to now see some fantastic football being played. It has been a brilliant year for football and we are pleased to have played such an important role,” he added. Matt Jones, the head groundsman at the Hazza bin Zayed Stadium, lauded the support from SIS Pitches team.